Extremely versatile, the leg is considered the leanest cut of lamb. It is well-exercised, and has a rich, deep flavor. Its large size makes it a fantastic centerpiece at any holiday meal. 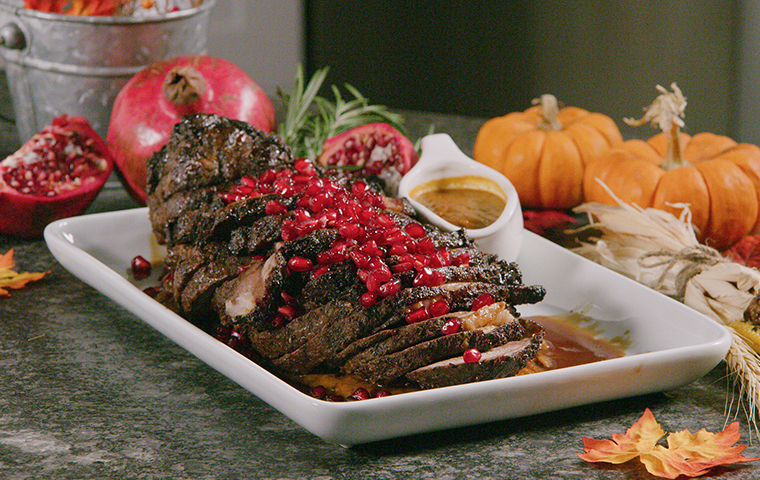 1.Season boneless leg of lamb. Cover tightly with plastic wrap and refrigerate overnight. 2.Preheat oven to 375°F. Discard plastic wrap and season roast with kosher salt and ground black pepper. Bring to room temperature, about 40 min. 3.Roast lamb for 1 hr, or until meat thermometer inserted into thickest part reads 125°F. 4.Let lamb rest on wire rack at room temperature for at least 20 min before slicing thinly.